To claim this profile, please confirm you are Christina Furey. To follow this profile, please let us know your relationship to Christina Furey. Christina was selected the Player of the Game in the basketball game against Missouri HomeSchool on Mon, Mar 11 2019.
what a joy seeing you play and contribute and have fun out on the court again! 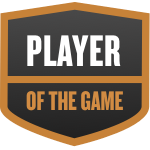 Christina was selected the Player of the Game in the basketball game against Salt and Light Homeschool on Fri, Feb 01 2019. Congratulations to #11 Christina Furey for being selected the Southwest Louisiana HomeSchool Girls Basketball Player of the Game. Christina's basketball stats have been updated for the win vs. Indianapolis HomeSchool Trailblazers. RESULTWin Girls varsity basketball vs. IHST. The Southwest Louisiana HomeSchool varsity basketball team won Friday's neutral tournament game against Indianapolis HomeSchool Trailblazers (Indianapolis, IN) by a score of 57-53. Christina's basketball stats have been updated for the loss vs. Dallas Thunder Blue. RESULTLoss Girls varsity basketball vs. Dallas Thunder Blue. The Southwest Louisiana HomeSchool varsity basketball team lost Thursday's neutral tournament game against Dallas Thunder Blue (Dallas, TX) by a score of 38-31. RESULTWin Girls varsity basketball vs. CTHS. The Southwest Louisiana HomeSchool varsity basketball team won Wednesday's neutral playoff game against Cincinnati Trailblazers HomeSchool (Cincinnati, OH) by a score of 50-42. Christina's basketball stats have been updated for the win vs. Tulsa Green Country HomeSchool. RESULTWin Girls varsity basketball vs. TGCHS. The Southwest Louisiana HomeSchool varsity basketball team won Tuesday's neutral tournament game against Tulsa Green Country HomeSchool (Tulsa, OK) by a score of 45-32. Christina's basketball stats have been updated for the win vs. Missouri HomeSchool. RESULTWin Girls varsity basketball vs. Missouri HomeSchool. The Southwest Louisiana HomeSchool varsity basketball team won Monday's neutral tournament game against Missouri HomeSchool (Jefferson City, MO) by a score of 47-29. Christina's basketball stats have been updated for the win vs. USA Homeschool. RESULTWin Girls varsity basketball vs. USA Homeschool. The Southwest Louisiana HomeSchool varsity basketball team won Monday's neutral tournament game against USA Homeschool (Smithfield, VA) by a score of 54-36. Christina was selected the Player of the Game in the basketball game against Houston Homeschool Athletics on Sat, Jan 19 2019. 9 for 9 from the field!! RESULTWin Girls varsity basketball vs. Dallas Thunder Blue. The Southwest Louisiana HomeSchool varsity basketball team won Saturday's neutral tournament game against Dallas Thunder Blue (Dallas, TX) by a score of 42-36. RESULTLoss Girls varsity basketball vs. Dallas HSAA Blue. The Southwest Louisiana HomeSchool varsity basketball team lost Friday's neutral tournament game against Dallas HSAA Blue (Plano, TX) by a score of 47-34. The Southwest Louisiana HomeSchool varsity basketball team won Friday's neutral tournament game against Tulsa NOAH HomeSchool (Tulsa, OK) by a score of 50-45. RESULTWin Girls varsity basketball vs. Central Texas Saints. The Southwest Louisiana HomeSchool varsity basketball team won Thursday's neutral tournament game against Central Texas Saints (Leander, TX) by a score of 53-27. Christina's basketball stats have been updated for the win vs. Faith Training Christian Academy.